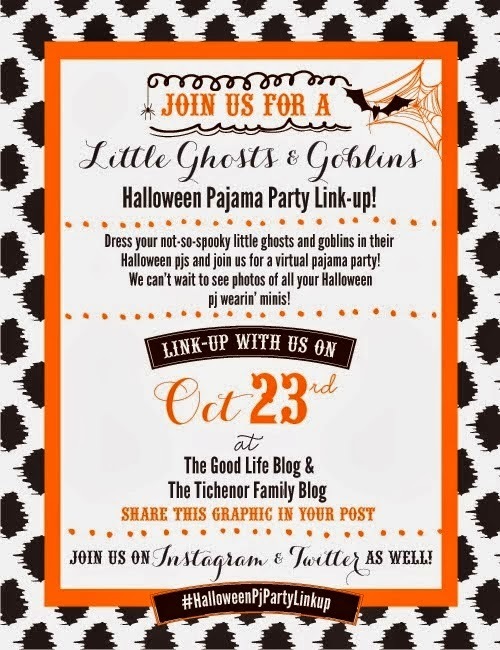 Today, I'm linking up with The Good Life and The Tichenor Family for a Little Ghosts and Goblins Halloween Pajama Party. 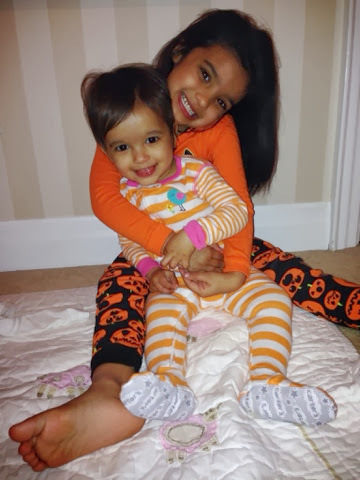 These are my two cuties in their Halloween PJs. Cassia's is from Gap and it's glow in the dark. She put it by the window all day so she could see it glow tonight. In full disclosure, as you can see, Anjali's is from Carter's and not quite Halloween but I couldn't resist putting her in it as well. 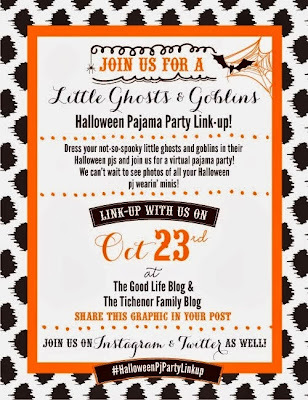 I can't wait for my fairy and owl to make their appearances next week!